Hardcover journal for 2019 by Els&Nel. The size is 17 x 24 cm. On one spread the calendar has a weekly view on the left and ruled space for notes on the right side. 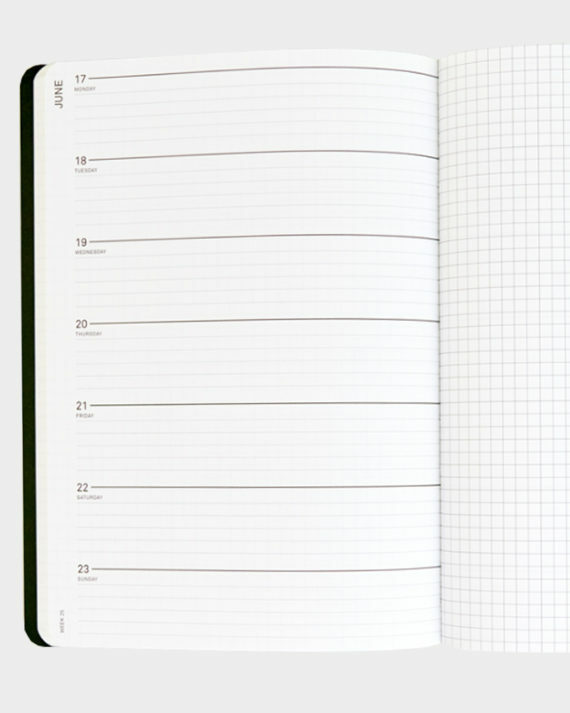 In the back cover, there is a pocket for a paper calendar with a monthly view. Made in The Netherlands. Hardcover journal for 2019 by Els&Nel. The size is 17 x 24 cm. In the back cover, there is a pocket for a paper calendar with a monthly view. 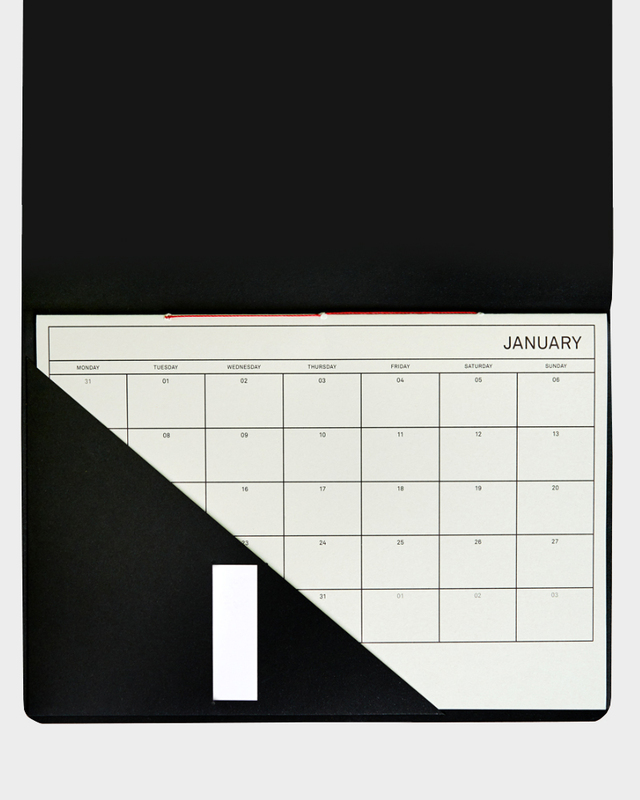 You can also place a few business cards into the back cover pocket. Made in The Netherlands. 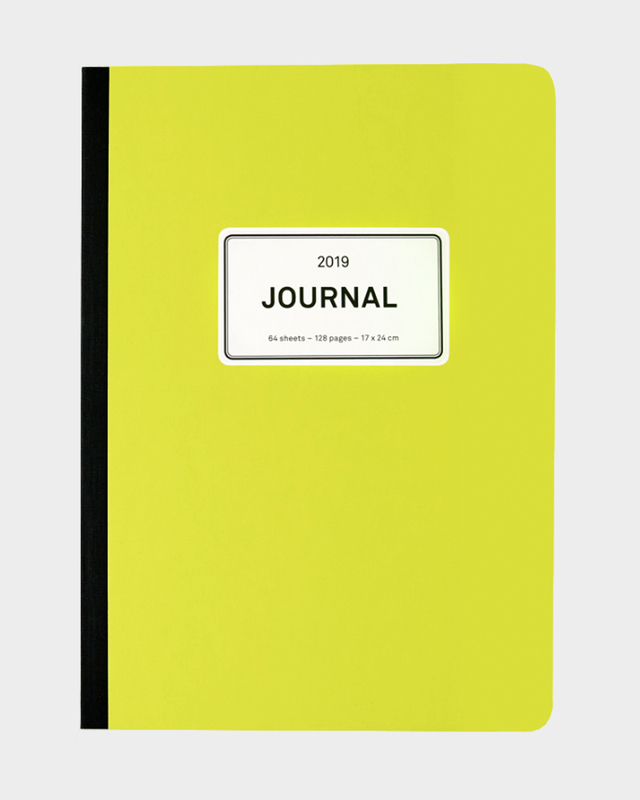 The lime green Els&Nel Journal 2019 is an edition of 250 numbered copies.